I have been working my way through Dr. Michael Thaut’s book, “Rhythm, Music and The Brain.” While the book is quite academic in nature and focuses a lot on complex scientific findings, there are also universal music therapy concepts that can directly apply to everyday practice. Dr. Thaut has dedicated his research and music therapy practice to putting science behind the success of what music therapists’ witness with their patients every day. He has created the field of Neurologic Music Therapy and continues to train others in these science-based music therapy techniques. While a lot of his research is with patients who have suffered a stroke or have been diagnosed with Parkinson’s Disease, his findings can be applied across the board. Here are a couple of quotes from his book that really have stood out for me. I think it is so important as advocates for music therapy to learn from as many sources as possible about the field and research that is available to us. o A gestalt is a completed unit of human experience. So basically he is saying that rhythm can help our brain develop the tools we need to gain the processes of learning and perception. 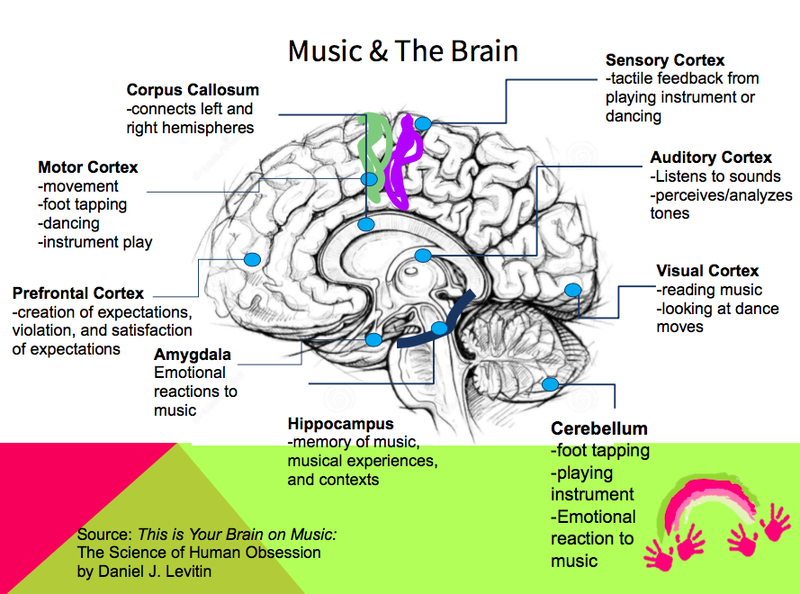 o One of the many reasons music therapy is such a beneficial treatment modality is because it has that unique artistic expression component that triggers the brain totally different than anything else. o Human beings are innately musical and learning more how to utilize that to achieve growth is what music therapy is all about. Through his research, Dr. Thaut has proven time and time again that there are unique benefits to using music in engaging, developing, and growing the potential of the human brain. These are just a few of many of his findings and the music therapy community is blessed to have him continuing to learn more about what we do each and every day.